[Student Activities] Starting from the subject of each student's passion, they developed individual interactive art projects. Through a series of collective discussion sessions, they explored the challenges and opportunities of the intrinsic properties of interaction, they learned how to talk about their own work and evaluate other projects by providing constructive criticism. The most popular projects were chosen and developed in teamwork. The students learned how to write code, use sensors, build props, record and edit audio and video and use the exhibition space in their final installation. 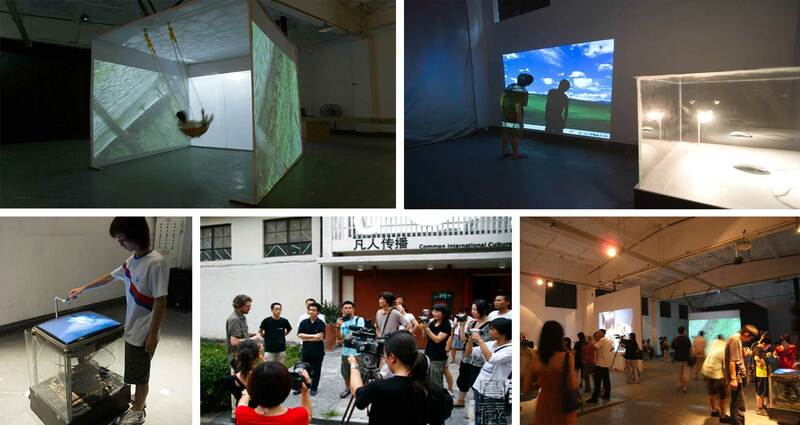 [Course Results] The students concluded the workshop by organizing a large scale exhibition in an alternative art gallery in Hangzhou, featuring several ambitious interactive installations. The exhibition received critical acclaim from the artistic community in China and launched the careers of several influential artists.